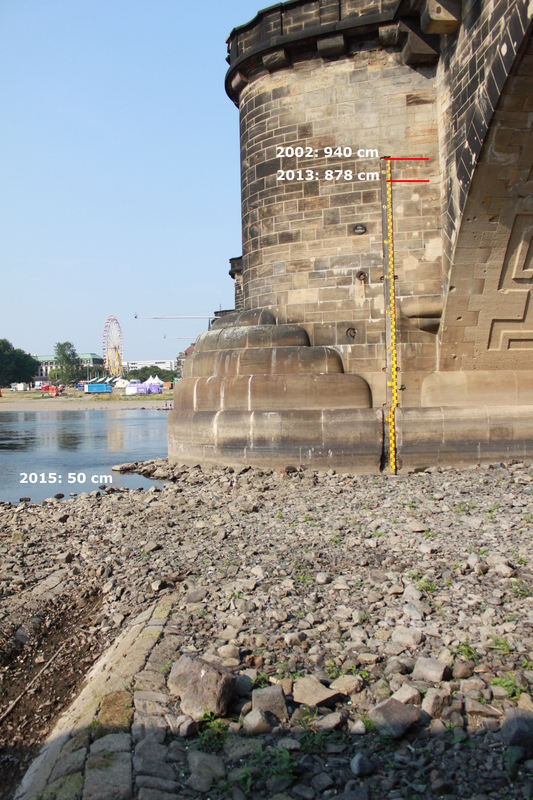 Current hydrologic status (via www.hochwasserzentralen.de). 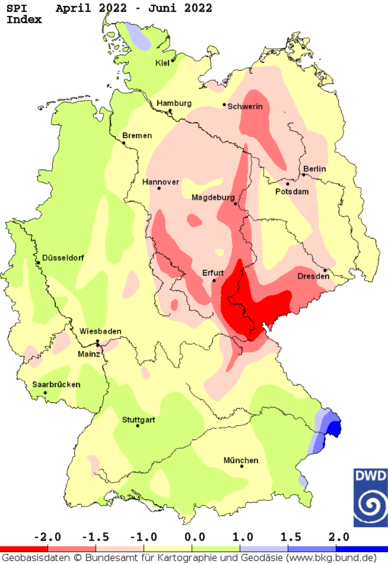 Heavy or continual precipitation warnings for Germany (issued by DWD). 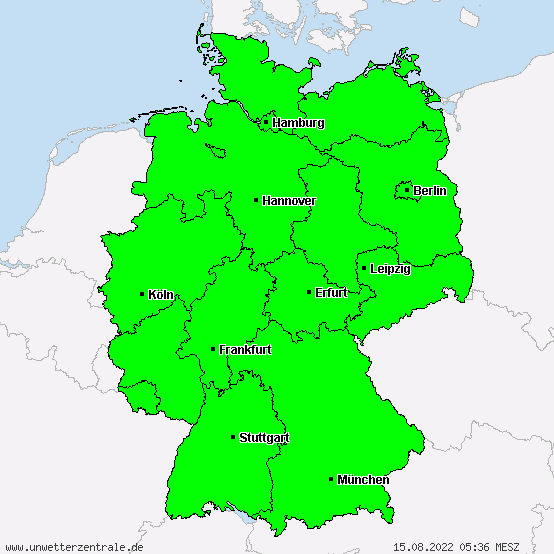 Heavy or continual precipitation warnings for Germany (issued by unwetterzentrale.de). Rainfall radar film provided by DWD. 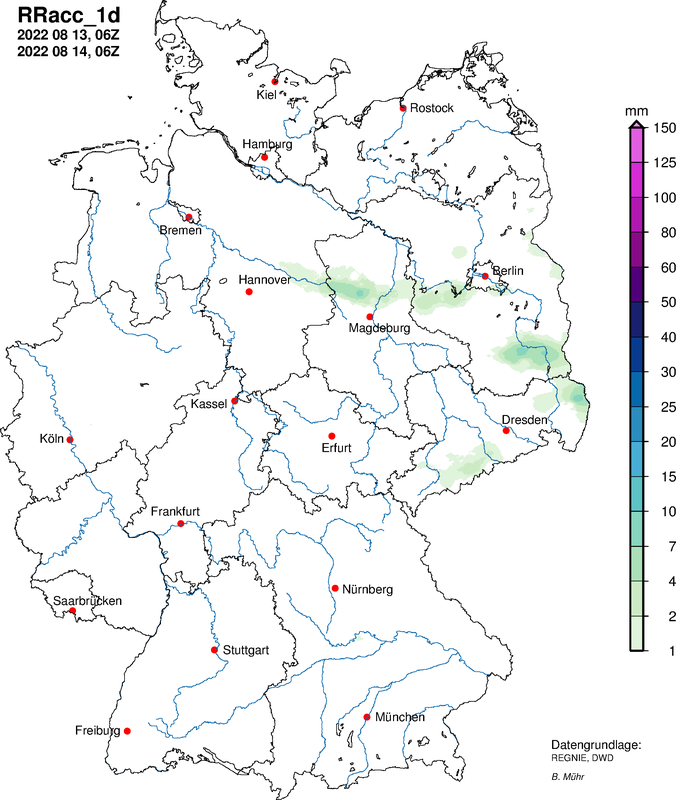 Real-time precipitation (24 h); updated hourly; provided by DWD. 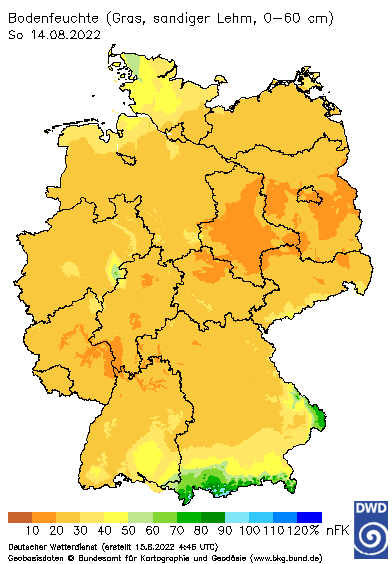 Provided by wettergefahren-fruehwarnung.de; based upon raw data (DWD-REGNIE)! 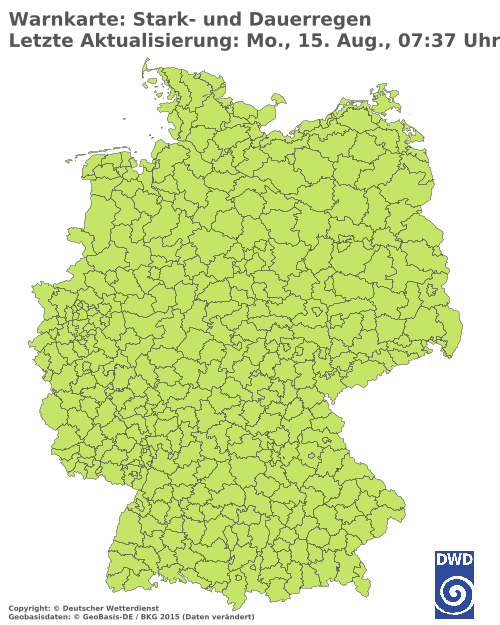 Provided by DWD; derived from REGNIE data. Provided by DWD; percent of usable field capacity. 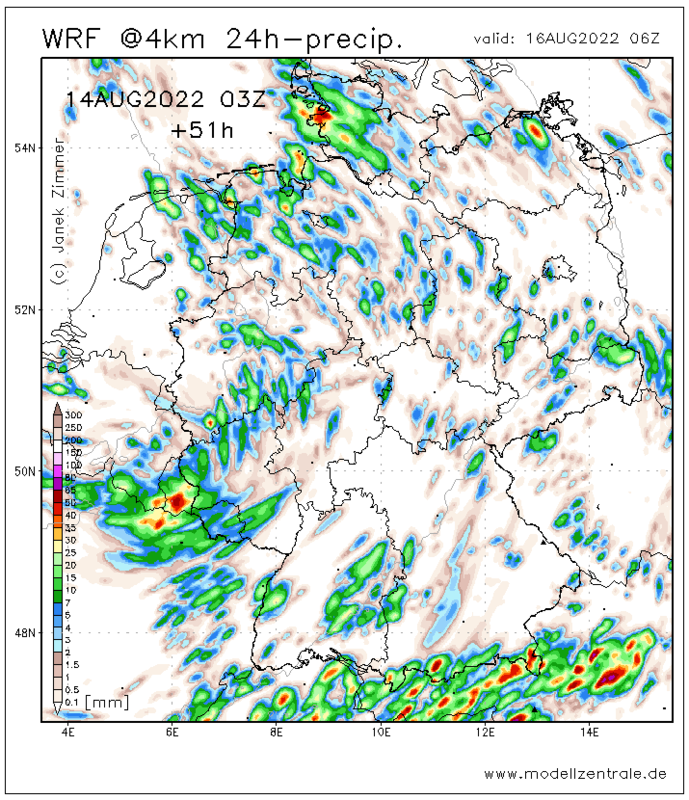 Provided by modellzentrale.de; NWP model: WRF 4 km horizontal resolution.